Last Monday, just over thirty minutes after publishing the latest entry in her widely read blog, Maltese investigative journalist Daphne Caruana Galizia was murdered in a car bomb not far from her home in the sparsely populated rural village of Bidnija. Known more globally for her forefront work in the investigation and exposure of the biggest data leak in history, otherwise known as the Panama Papers, Caruana Galizia, recently described by Politico as a “one-woman Wikileaks” was a fiercely independent journalist, with no political agenda bar exposing undercurrent networks of corruption and financial laundering, predominantly in her home country of Malta. 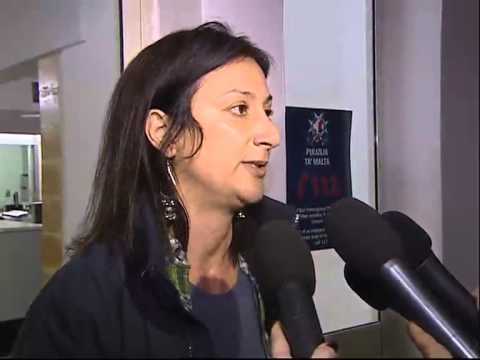 Caruana Galizia has been accumulating evidence as well as publishing investigative writing that exposes and accuses Malta of becoming a mafia country, where the Prime Minister, Joseph Muscat – of whom she was consistently critical – and his wife have alleged links to the Panama Papers, alongside the usual elite corruption, money laundering and widespread gang violence. We’re living through a time when brave investigative journalism is both rare and met with the risk of journalists’ careers, at best and lives, as we’ve now witnessed, at worst. With the President of the United States declaring that it’s “frankly disgusting the press is able to write whatever they want”, in conjunction with his ongoing war on the press, it’s paramount we continue fighting, and marching, and protesting for free speech and media that is fearless. After the rise of far-right parties in recent European elections we observe a worrying shift of far-right parties towards the mainstream. Betting shops, slot machines, online gaming and casinos have become a common phenomenon across Africa, luring the youth with the promise of a quick buck. The new U.S. war strategy for Afghanistan follows a dreadful path of death and destruction by all warring sides in the country. The survivors of the Grenfell Tower fire are worried that government will fail to aid them in the most desperate of incidents. The extent of discrimination towards the Pashtun tribesmen in Pakistan is unparalleled. Liberians hope to preserve peace: The first time in Liberian history, the country is managing its own elections, without the help of the UN. The Nobel Peace Prize award shows fear and dread of nuclear weapons are still needed.